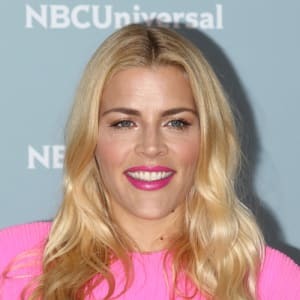 Busy Philipps (born June 25, 1979; full name Elizabeth Jean Philipps) landed a role on the critically lauded but short-lived television series Freaks and Geeks when she was 19. She went on to appear on TV shows such as Dawson&apos;s Creek and Cougartown, and in movies like White Chicks and I Feel Pretty. Philipps has also made a name for herself with the engaging videos she posts via Instagram&apos;s Stories feature. She&apos;s married to screenwriter Marc Silverstein, with whom she has two daughters. Busy Philipps attends the 2018 NBCUniversal Upfront presentation at Rockefeller Center on May 14, 2018 in New York City. Philipps has one million followers on the social media site Instagram; about 200,000 people view her Instagram Stories — short videos that disappear from the site after 24 hours, unless Philipps saves them — every day. The Stories she&apos;s shared include intense trampoline workouts, the pain of leaving her daughter&apos;s teddy bears behind while on vacation, an unsettling Uber ride, adventures with lifelong best friend Michelle Williams and returning from the Golden Globes only to find she was locked out of her house. Thanks to her Stories, an editor at Simon & Schuster asked Philipps to produce a book of humorous autobiographical essays (arriving in the fall of 2018). And in the spring of 2018, Philipps landed a deal for a nighttime talk show on the E! network, which will contain segments that further explore her popular Instagram Stories. Tabloids and gossip magazines also often report on things Philipps has shared via Instagram. In 2017 Philipps told Cosmopolitan, "I&apos;m weirdly stopped more on the street now for my Instagram than any acting I&apos;ve done over the last five years." Social media success has also been lucrative; she made more money in 2016 from sponsored content — while noting she only works with brands she truly likes — than from acting. Often portraying characters with a wild streak, Philipps has been seen on numerous TV series. 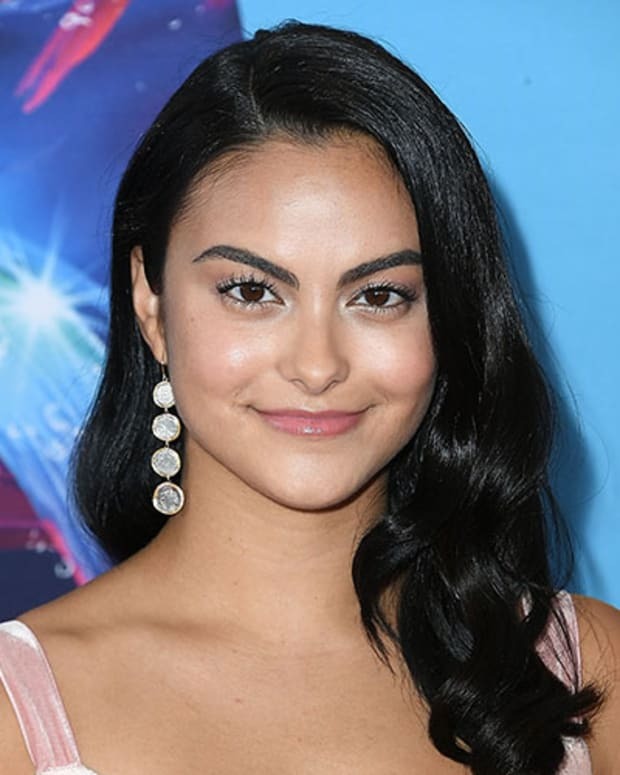 And in addition to working in movies as an actor, she has a story credit on Blades of Glory (2007), a film in which Will Ferrell and Jon Heder become a pairs figure skating duo. In 2001 Philipps joined teen primetime soap Dawson&apos;s Creek in the show&apos;s fifth season. Her lively character of Audrey helped Joey (played by Katie Holmes) become a little less strait-laced, and became romantically involved with Pacey (played by Joshua Jackson). Dawson&apos;s Creek was also where Philipps met Michelle Williams, who played Jen on the show. Though their characters didn&apos;t interact a lot onscreen, offscreen the two actresses started what&apos;s become a lasting friendship. At the age of 19, Philipps was cast on Freaks and Geeks (1999-2000), her first TV show. Despite its short run, the production was a career launchpad for Seth Rogen, Jason Segel, Linda Cardellini and Philipps. Philipps played Kim Kelly, who was involved with James Franco&apos;s character, Daniel. Though they had to make out for the cameras, the two actors didn&apos;t get along in real life; in one incident, Franco shoved Philipps. However, they&apos;ve since mended fences and become friends. On TV&apos;s Cougar Town (2009-15), Philipps played Laurie, a friend of star Courteney Cox&apos;s character, Jules. Philipps directed an episode of the show during its final season. The movie White Chicks (2004) featured Philipps as one of the socialites deceived by Marlon Wayans and Shawn Wayans in their undercover disguises as the titular white chicks. In the film I Feel Pretty (2018), Philipps plays Jane, one of star Amy Schumer&apos;s best friends. The film has Schumer&apos;s character, who&apos;s previously felt unattractive, suffer a blow to the head that makes her believe she&apos;s stunningly beautiful — a storyline that received criticism for ostensibly conveying the message that some women could only embrace their appearance after suffering a head injury. 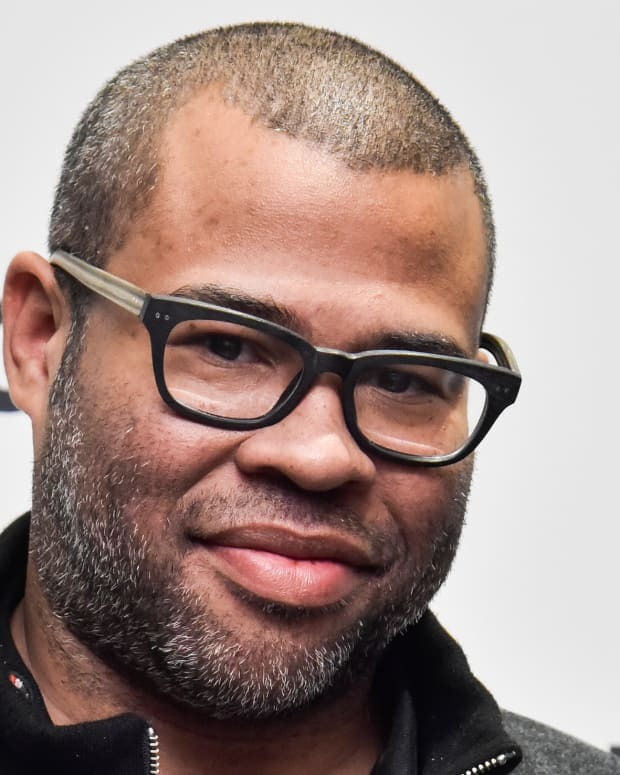 Philipps spoke out against the backlash to the film, saying in an interview, "It was never about making fun of someone&apos;s body or someone&apos;s looks," but rather intended to address common issues with self-esteem. Philipps was Gale Liptrapp on HBO&apos;s Vice Principals and Dr. Hope Bobeck on ER. Among the TV shows she&apos;s guest starred on are How I Met Your Mother, Terminator: The Sarah Connor Chronicles and New Girl. She&apos;s also filled in as a host on Live with Kelly and Ryan, and has appeared on Drunk History. The movies Philipps has acted in range from romantic comedies like Made of Honor (2008) to the thriller The Gift (2015). Philipps married screenwriter Marc Silverstein in 2007. He&apos;s written movies such as Never Been Kissed (1999), He&apos;s Just Not That Into You (2009) — in which Philipps appeared — and 2012&apos;s The Vow (Philipps told ABC News that some of the wedding vows in that film came from her own ceremony with Silverstein). Silverstein also co-wrote and co-directed I Feel Pretty. Philipps has two daughters with Silverstein: Birdie Leigh (born August 13, 2008) and Cricket Pearl (born July 3, 2013). Both girls have appeared in her social media posts, though Philipps has said she tries not to embarrass them. As she noted in a 2017 interview, "I just really want to be respectful of the fact that they&apos;re their own people, they have their own lives, and they didn&apos;t choose to be my kids." Since making Dawson&apos;s Creek together in North Carolina — and enjoying the nightlife there — Philipps and Michelle Williams have remained close. Philipps is godmother to Williams&apos; daughter Matilda Ledger, and has accompanied Williams to many awards shows. These outings include the Academy Awards ceremony in 2017 — where their front-row reactions to learning that Moonlight was the actual Best Picture winner, not La La Land, became part of a viral photo. Talking about Philipps in 2016, Williams declared, "She&apos;s proof that the love of your life does not have to be a man! That&apos;s the love of my life right there." And describing Philipps in 2018, Williams said, "She has this amazing quality: People just fall in love with her. Like, you spend ten minutes with her, and people are like, &apos;She&apos;s incredible.&apos;"
When Was Busy Philipps Born? Busy Philipps was born on June 25, 1979, in Oak Park, Illinois. Philipps&apos; parents are Barbara and Joe Philipps; she has an older sister named Leigh Ann Philipps. Her mother introduced Philipps and her sister to the world of cake decorating; Philipps is now a cake artist who has made creative narrative cakes, stand-up cakes and more. What Is Busy Philipps&apos; Full Name? Though she was named Elizabeth Jean Philipps, she&apos;d received the nickname Busy by the time she was six months old because she was so full of energy. Philipps grew up in Scottsdale, Arizona. 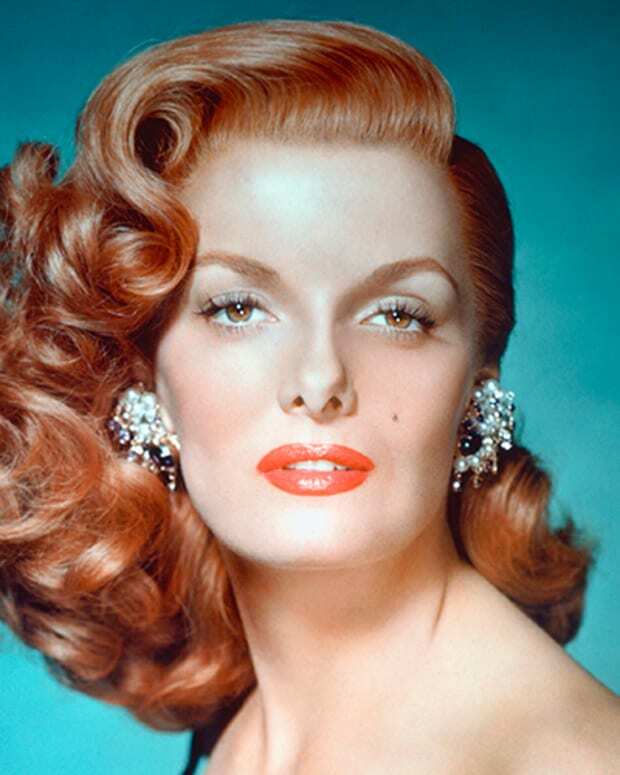 Her first professional acting job was playing a real-life Barbie doll for a Mattel convention. She attended Loyola Marymount University, where her boyfriend was fellow actor Colin Hanks. Philipps has been open about suffering from anxiety and occasional depression, and has explained that exercise helps her manage these symptoms. After the birth of her first daughter, she suffered from postpartum anxiety, though it took a year for her to seek treatment. In 2018 she talked to TODAY Parents about how she&apos;d felt at the time, sharing, "I didn&apos;t even know that what I was going through was a thing. I just thought, &apos;This is who I am, and I&apos;m crazy.&apos;"
Philipps has also discussed other health issues on social media, like the time she sunburned her eyes (photokeratitis) and when she had to go to the hospital due to a medical condition called ovarian torsion, which causes pain in the abdomen. In her podcast, We&apos;re No Doctors, Philips delves into health and medicine-related topics — she and her co-host describe themselves as "two neurotic, hypochondriac actors." 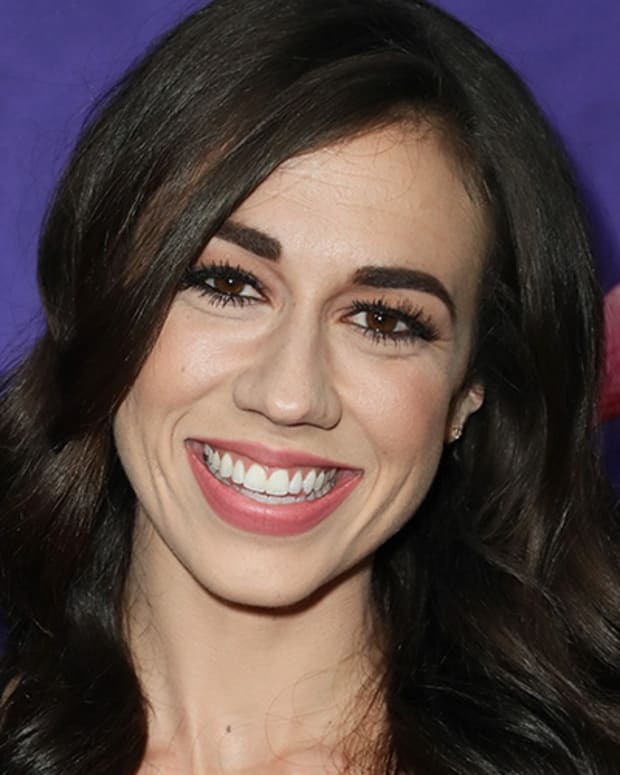 Colleen Ballinger's Miranda Sings — a character with unshakeable faith in her talent despite the fact that she can't sing or dance — is the star of a popular YouTube channel; Ballinger has also taken Miranda on tour and to Netflix. Singer-songwriter Lana Del Rey took the world by storm with her 'Video Games.' Since then she's built up a body of work that features languid, melancholic tunes and fascinating videos. 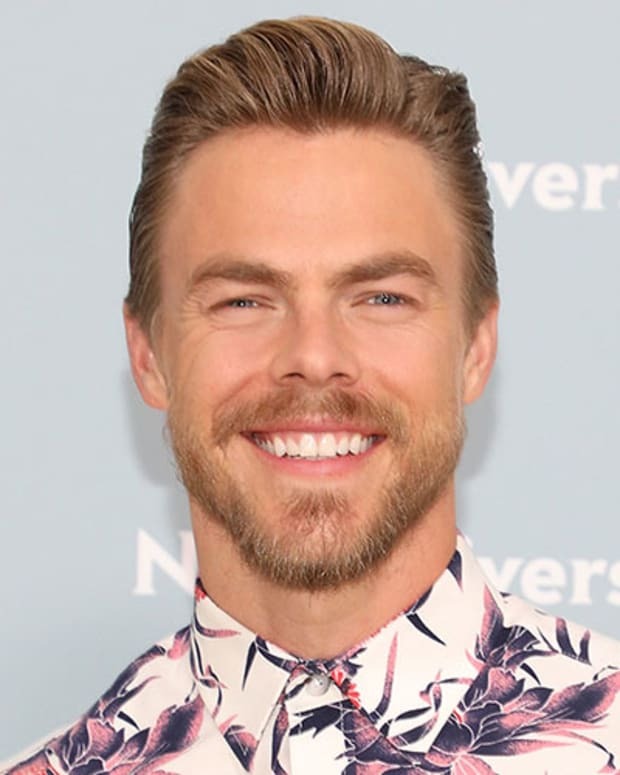 Derek Hough spent a decade as a pro dancer on 'Dancing With the Stars' before becoming a judge on 'World of Dance'; he's also appeared in movies, stage shows and TV productions. Stormy Daniels is an adult film star whose alleged affair with Donald Trump in 2006 became a major scandal — with potential legal implications for the president and his attorney — after it was revealed that in October 2016 she had been paid $130,000 not to discuss the relationship.